Emmanuel Macron will host German Chancellor Angela Merkel in the Mediterranean port city of Marseille on Friday, a French official said, seeking support as he takes on nationalist EU leaders over immigration and institutional reforms. 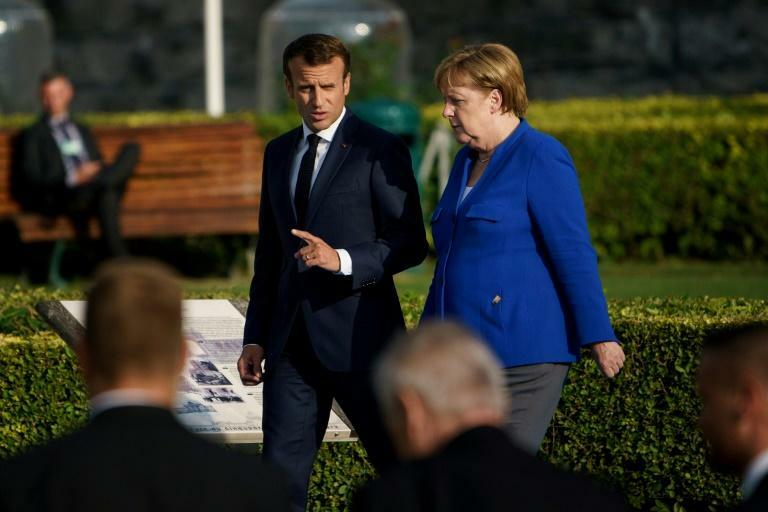 The meeting will focus on "European subjects including the euro, migration, technology and the international situation," the official in the French presidency told AFP on Monday. Hungarian Prime Minister Viktor Orban and Italy's far-right Interior Minister Matteo Salvini identified Macron as their adversary on immigration, leading Macron to reply that they were right to see him as their "main opponent." Other EU countries also remain sceptical of Macron's agenda, against a backdrop of rising nationalism as leaders bicker over how to handle the thousands of migrants fleeing war and misery in Africa, the Middle East and Asia. European leaders will meet for a summit on September 20 in Salzburg, Austria, to try to hammer out their differences, nearly three months after barely reaching a deal on migrants at an EU summit in Brussels.